[MAY 22, 2004] Gus and Nancy Otto of 230 Grand Ave. celebrated their 25th wedding anniversary Wednesday, May 19, with a surprise party put on by family and friends. 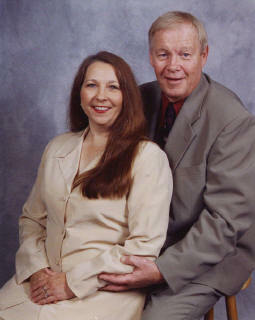 Nancy Kay Sparks and Wayne K. "Gus" Otto were married May 19, 1979, at Lincoln Christian Church. Gene Shepard officiated. The late Robert "Buzz" Dugan and the late Leslie Podbelsek Sank served as attendants. The Ottos are parents of Shannon Engelmann of Highland, Amber Marie of Macomb and Heather Lane of Orlando, Fla.
Gus is the senior technology analyst at Caterpillar in Peoria. Nancy is employed by New Holland Banking Center and Goody's. They are planning an anniversary trip later in the year.